The past year has been a whirlwind adventure for Oh Wonder: The songwriting duo who began their career as a faceless songwriting entity (“we’re all about focusing on the art, not the artist“) have consistently been in the spotlight, whether it was at major festivals such as Bonnaroo, Sasquatch and Outside Lands, or in packed clubs and arenas across North America and Europe. The extensive touring that began with the release of Oh Wonder’s self-titled debut album has yet to let up: They have performed over 100 concerts in 2016 alone, an impressive feat for a band whose first-ever live show was on September 16, 2015. Considering the raw humanity and vulnerability lying at the core of Oh Wonder’s music, it makes sense that the “spotlight” (and everything that comes with it) might take some time getting used to. Josephine Vander Gucht and Anthony West have approached their success with nothing but humility and gratefulness since the beginning: Never taking advantage, always preferring less than more – a reflection, perhaps, of their music’s minimalist aesthetic. “We are still not coming to terms with the idea of celebrity,” says Oh Wonder. “How the hell did we end up here? And who are all these people that know our songs?” Disbelief and utter shock continue to color the duo’s reactions – two years after releasing their first song, “Body Gold,” one year after releasing their album, and mere months after opening for Halsey’s sold-out show at New York City’s 18,000+ capacity Madison Square Garden. 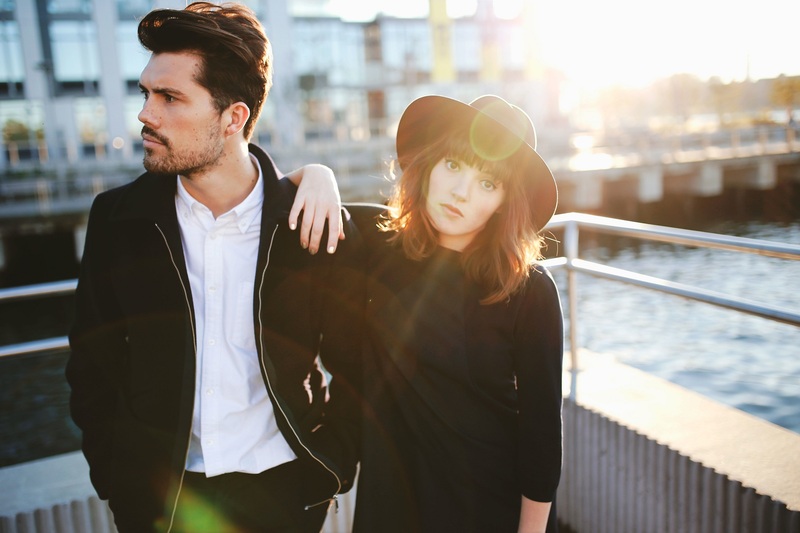 Gone are the days of Oh Wonder’s anonymity; of asking Who is Oh Wonder? They have shared themselves with the world as only a touring recording artist can, bringing their music to new crowds and new faces on a near-nightly basis. The performances themselves are spectacular. It should come as no surprise that Oh Wonder’s live show is an unforgettably breathtaking experience. That intimacy and depth that attracted so many to Oh Wonder’s music translates seamlessly onto the stage: Whether it’s the quiet, personal outpourings of “All We Do” and “Livewire” or the controlled, cathartic release of “Technicolor Beat” or “Drive,” Oh Wonder’s songs resonate deeply in the live setting. Perhaps that profound resonance has to do with the nature of Oh Wonder’s music: Their songs are tailor-made for soul-searching and alone time, those special moments where an individual can lose oneself in introspective thought. Seldom would one play Oh Wonder front-to-back in a large group setting, so at an Oh Wonder concert, the gravity of that music is multiplied: One can feel the intense individual connections audience members have made to these songs. They sing their hearts out, looking to the two figures onstage to guide them through an hour of music-induced meditation, reflection, enjoyment, and letting go. How the hell did we end up here? And who are all these people that know our songs? Oh Wonder explore a spine-tingling dynamic between human and electronic elements in their music. It is through a similar balance of the human and electronic worlds that Josephine Vander Gucht and Anthony West have stayed sane over the past year, performing all around the world while maintaining their integrity and staying true to that which matters most: The art. It’s been a long and highly eventful year since Atwood Magazine first interviewed Oh Wonder in the fall of 2015. A lot remains the same, but much has changed. Oh Wonder took time out of their tour schedule to catch up with us, filling us in on their summer in Brooklyn, the festival circuit, new music and more! Atwood Magazine: Last year, you were very excited at the prospect of spending the summer in Brooklyn. Did you make that happen? Oh Wonder: We sure did! We spent a month in Brooklyn in April/May and wrote most of our album out there in an Air BnB apartment in Williamsburg. We set up a keyboard and wrote pretty much every day. It was awesome! It was also lovely to have a sense of a home life and structure again after living on planes and buses for eight months. We made ourselves breakfast pretty much every day, which is such a privilege for us. And we got through about four seasons of The Office. And ate a lot of frozen yoghurt. And read a ton of books. We just did a lot of normal “hanging out” stuff which was sorely needed to clear our heads and feel creative again. Did you become regulars anywhere, or find any favorite restaurants/shops? Oh Wonder: Yeah definitely! We loved the avocado/toast/egg breakfast at The Outpost in Greenpoint, the clothes at Awoke Vintage (so many stage outfits come from there! ), and Rye for $5 cheeseburgers and old fashioneds. Did you find you were affected by your location - does the surrounding space have an effect on your musical output? Oh Wonder: For sure, we were thrust into a whole new culture and way of life, and a whole new genre of people to write about. Although more than that we listened to loads of new music because we actually had time! We both went for separate walks every day around the local neighbourhood and listened to new and old records. Anthony re-discovered the Beach Boys, and I listened to James Blake’s new record endlessly walking around McCarren Park. You played the “festival circuit” this summer in the US and abroad. What was that like? How do Oh Wonder's festival shows differ from clubs and theaters? It's been over a year now since your debut album, Oh Wonder, was released on September 4th. When we spoke about it a year ago, you identified in large part with “focusing on the art, not the artist.” How have you maintained that identity? Oh Wonder: We haven’t consciously maintained it. We’re naturally quite private people – we don’t answer personal questions, we’re terrified of platforms like Snapchat (even though everyone says we should be snapping!) as we want to keep something for ourselves. It’s just always about the music. The success of Oh Wonder's music has forever changed both of your lives, in ways both good and bad. How are you coming to terms with celebrity culture - something you previously described as irrelevant, and openly disliked? 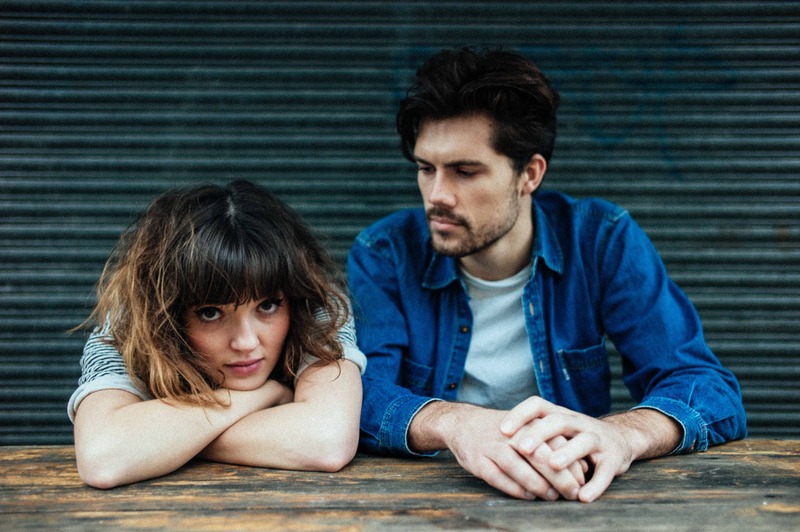 Oh Wonder: Yeah it’s definitely a double-edged sword. Obviously this journey has been incredible, and we are so privileged and fortunate to be travelling the world and making music. The best bits of the day are the performances, without doubt. We are on such highs after every show. Also, being able to explore so many cities and towns across the world and get a flavour for each is truly amazing. People save up for years to travel the world like we are. That fact never escapes us; we feel so so lucky. That said, we are still not coming to terms with the idea of “celebrity.” It confuses us when people scream when they see us or want a picture with us or think we’re “famous”. We definitely don’t see ourselves in that way! So yeah, we still dislike celebrity culture, and it’s still irrelevant to us. We’re here to make music! But we will never complain about having people all around the world interested and invested in our music – that is amazing! However, we certainly feel for the Justin Biebers of this world who simply cannot live a normal life. That must be painful, because his time is never his own. It’s always expected that he must and should give it to other people. And I guess people must feel like they really know Justin because they see him eat and sleep and think out loud, yet he doesn’t know anything about them. It’s such a one-sided life. It must be incredibly lonely and insular. But we’re still at a lovely level where we meet awesome people and everyone is very respectful. If we’re eating dinner near a venue for example, generally people will let us eat in peace, and that simple, kind gesture is something that keeps us very sane! One of my best memories of Oh Wonder is our brief reunion after your NYC debut at Rough Trade last October. That was one of your first shows; now you've opened at the Garden. How has your relationship with audiences changed? Is it harder now to make that personal, if only fleeting, connection? Oh Wonder: Not at all, it’s still the same – if not easier as we are way more comfortable with ourselves on stage and our performance. If anything, we can give more of ourselves over to the audience! You have to constantly push yourself as a performer otherwise there is no progression. And without progression, we are nothing. Josephine, you described Oh Wonder as “a vehicle to comfort people,” emphasizing the human connection element in your music. Does love continue to be a focus for Oh Wonder? How, if at all, has that focus developed over time? Oh Wonder: For sure. Playing live has only asserted the importance of connection and community. Every night thousands of people congregate in a room and we all sing Oh Wonder songs together. That’s insane. Live music is genuinely one of the few things in the world where people from any background or belief can hang out together and share the same experience. It’s so important. Every night thousands of people congregate in a room and we all sing Oh Wonder songs together. That’s insane. What can you say about the new music you've been working on? 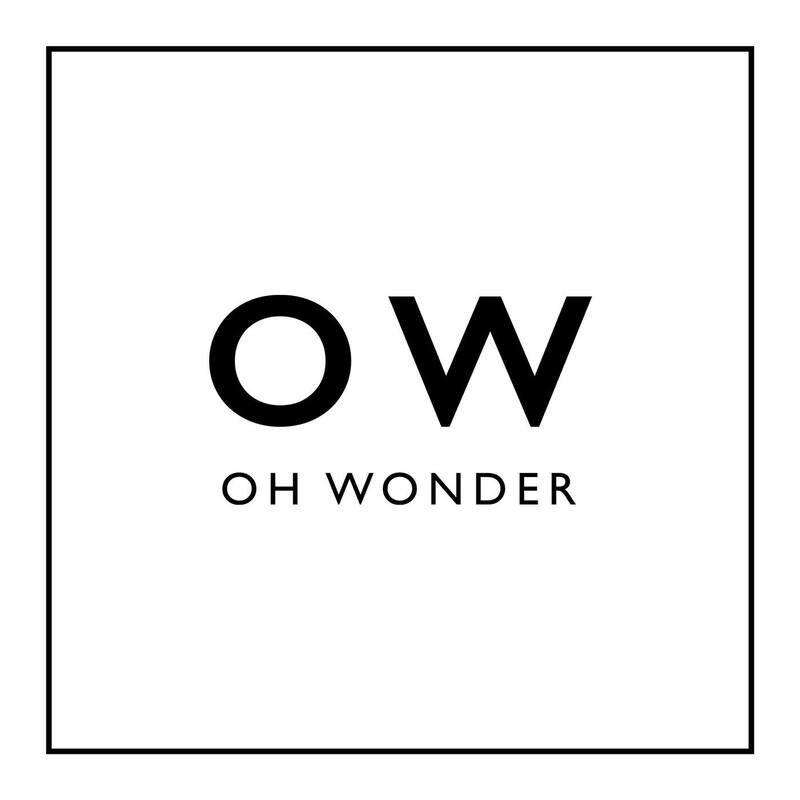 Oh Wonder: We’ve written the album. We’re recording it in December back at our home studio in London, and it’ll be out next year! Do you find it harder to maintain your integrity, with all the noise around you? Oh Wonder: Not really, we don’t really hear any noise! Touring is actually very lonely so you just mainly hang out with your own head. You just gotta be yourself and know that that’s enough. Live music is genuinely one of the few things in the world where people from any background or belief can hang out together and share the same experience. One of the things I think you were most afraid of last year was of losing yourselves in the whirlwind adventure that was 2015-2016. How did you stay sane? Oh Wonder: With difficulty! And being honest with ourselves. Acknowledging that we all have off days and feel crap for no reason, but that it’s ok and we still have to support each other. We tell our friends and family how much we miss them, so they are aware of how hard we find it being away from home pretty much all the time. We spend every spare minute we have in London hanging out with them and soaking them up – to the point where we haven’t really been in our house at all this year. And we took up gardening. Plants are a vibe; they need constant care and attention, and you’re investing your time, energy and creativity into nature. It’s not about you, it’s about the plant. That’s pretty important. (Do we sound crazy?) And on tour we stay sane by exercising ferociously and eating well. That’s pretty much the only way you can control your head when you’re moving city every day. Running up mountains and along broken sidewalks is the only constant force. Have you had the chance to step back yet and breathe? If not, take a second now. Two years ago, you had just released “Body Gold” and were about to release “Shark.” One year ago, you released your debut album. Now, you're about to embark on your largest North American headlining tour to date. What's going through your head right now? Oh Wonder: How the hell did we end up here? And who are all these people that know our songs? It’s mind-blowing really. How did we just played to 1400 people in Dallas last night? We’ve never been to Texas. 1400 people in our hometown was unachievable a few years ago. We’d never have believed that was possible, let alone in a small town on the other side of the world. I guess anything is possible folks. DREAM BIG. And be yourself. And strive to be better than yourself. Always.